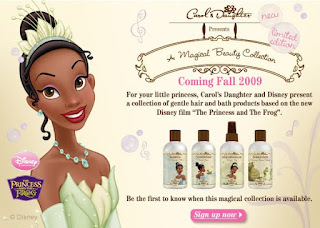 Carol's Daughter and Disney Proudly Announce an Exciting Collaboration! The full trailer for Disney's first black princess fairytale "The Princess and the Frog." Oh this looks wonderful! It's been quite a while since Disney came out with a princess fairy tale :) Too bad I can't watch the trailer now, but I'll definitely check it out later. Thanks!